Binary Code is a memory demonstration that is closer to a miracle! With little memory skill, learn how to memorize an ENTIRE DECK of playing cards! This trick is an incredibly impressive one when done correctly, but done wrong it can be a colossal flop. The only difference between whether it flops or impresses is down to how much you practice it. So, if you practice enough with this trick, you have a guaranteed winner on your hands! Today I’ll be explaining what Binary Code is, how hard it is, where YOU can learn it and my personal opinion. PLUS, read to the end for my ultimate step by step guide to learning magic! The name sounds confusing, but in all reality the Binary Code card trick is a fairly simple one. 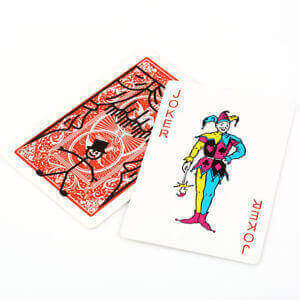 The magician takes out a deck of cards, and after briefly explaining the difficulties of trying to memorize all 52 of them, he instead removes just twelve cards. He lets the spectator mix and shuffle the 12 cards in any way they please, and then glances through them once, apparently memorizing the order. He then turns the cards over so no one can see the faces and starts separating the cards into two piles. When he turns the cards back over, it is revealed that he has managed to separate the black cards from the red, proving that he really had memorized them. At this point, the spectators may think to themselves that all the magician has done is a simple memory trick. This would be true- 12 cards isn’t that impressive. But the magician knows this, so now he says that he will attempt to memorize the full deck instead. He slowly looks through the deck once, memorizing all the cards and their order. After he has done this, he allows the spectator to mix the order up a little, trying to keep it in his head. Now, in a show of impossible memory skill, the magician begins to separate the cards once again into piles of black and red. He slowly works through all the cards in the deck, and it seems unlikely that he has succeeded. 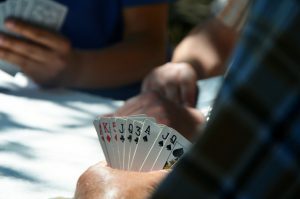 Once he has finished, he invites the spectator to turn the cards over, one by one. Sure enough, against all odds, the magician has managed to separate every single card into red and black piles. There is no other explanation than that the magician has other-worldly memory skills. Is this as hard as it looks? Binary Code is not quite as difficult as it appears to be, but it is definitely by no means an easy trick. I struggled with Binary Code for a long time before I was able to perform it well. As you can see, the trick itself is very impressive, but in order to get to this level you will need a lot of practice. The trick itself doesn’t require too much preparation, but the technique used definitely will. Even if you’re not actually memorizing the whole deck, you’re still exercising a bit of mental power. That’s a really difficult question to answer- it all depends on the individual. I would say, as a general rule, you’ll want to practice Binary Code for between 1 to 2 weeks, maybe once a day. That way you should create muscle memory and really just get the routine down to a point. Definitely do not attempt to perform Binary Code until you are certain you can pull it off in a high pressure environment, because it is one thing to be able to do the mental juggling this trick requires in practice, and something completely else in a performance. Try performing Binary Code to a family member or friend who won’t mind if you mess up; this should give you a good idea of whether you have the trick rehearsed enough to do it whilst interacting with an audience. The mistake I made was believing that since I could do it alone, I could do it in public, but if you’re not careful and lose focus you may have to start over. If you have any further questions about Binary Code feel free to leave them below and I will get back to you! If you came here because you’re interested in learning more magic, check out some of my other magic trick reviews. We all love a good film. We all love a good magic trick. But how many good films really are there about magic? Today I will be counting down the top three magic films of all time, along with some honorable mentions. Boy, this is a brilliant film. In my opinion, Nolan’s best film yet is often overlooked, but over the years I have only been more and more impressed with it. 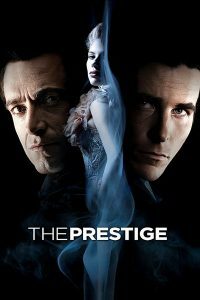 The Prestige follows the story of two magicians who, following a tragic stage accident, become rivals in a race to perfect the ultimate magic trick. Told in an entirely non-linear style (the film doesn’t have a set beginning – middle – end formula) we are left guessing until the very end. Don’t worry if this film doesn’t make sense straightaway; that’s the whole point. The cast is a very impressive lineup; Christian Bale, Hugh Jackman, Scarlett Johansson, Michael Caine, Andy Serkis and even David Bowie to name a few. Bale and Jackman are especially great in their respective roles as the main characters. What’s more, this film actually has some really good magic in it. Bale is obviously not a magician by trade, but the featured tricks in the film are genuine tricks that magicians have been doing for years. Nolan has clearly done his research. Who would I recommend it for? Everyone over the age of 12. No amount of words could properly emphasize how highly I recommend this movie, whether you are a fan of Nolan or not. It is not only the best film I’ve ever seen about magic, it could just be the best movie ever. If you’ve watched The Prestige and want to read about what really happened, click here! Ok, so this film gets a lot of stuff wrong. It has massive plot holes and cliched characters. 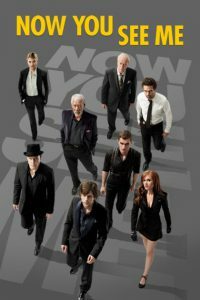 But when I was watching it I found that I just didn’t care, because above all, Now You See Me is a really fun film. If you can’t watch Woody Harrelson pretend to be a hypnotist without smiling, something is wrong with you. The plot is great; four magicians team up to payback all the people that have wronged them, being overseen by an mysterious benefactor. The film has some nice twists and turns that you might not have seen coming, and although some of the tricks seem a little…unrealistic, the performances are about enough to persuade you they are possible. If you watch this film as a magician, there are a few elements that could potentially frustrate you, but if you watch it without any expectations, it will blow you away. It is really as simple as that! What would I rate it? I would rate it a 7/10. Who would I recommend it for? Younger audiences and people looking for a decent action flick with a unique sub genre. 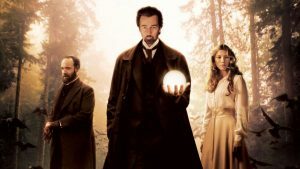 Funnily enough, The Illusionist was released around the same time as The Prestige, both films gracing audiences in 2006. It follows the story of a magician in Vienna who uses his growing status as an illusionist to win the hand of his future wife, however it then takes a dark turn when he makes the Crown Prince his enemy. I had mixed feelings about this film; I loved some elements of it, but others I found to be a little too far-fetched for me. Maybe it was simply that I was watching it off the back of watching The Prestige, and so my expectations were unreasonably high, but I found it more enjoyable than memorable. Certain aspects were done very well, such as the Austrian cinematography, the acting, and the dialogue, but unfortunately the actual magic element itself felt underdeveloped. However, if you yourself are not a magician, this shouldn’t be too much of an issue, as some of the less well done parts of the film include details that only a magician would notice. What would I rate it? I would rate it a 6/10, going on 7.
Who would I recommend it for? Older audiences and those who appreciate the aesthetics of a film- just ensure you watch it before The Prestige and not afterward. I hope you enjoyed these reviews of the top magic films- go give some of them a watch! If you’ve ever watched Britain’s Got Talent, you might recall a magician a couple of years back who ‘literally’ convinced Simon Cowell that magic was real. Simon Cowell has watched hundreds of magicians performing amazing sleight of hand and wizardry for years, but it was this trick that persuaded him to believe that magic was a reality. And this is a trick that you can learn in minutes. That’s crazy, right? Sometimes, in magic, it is the simplest effects that can be the most mind-blowing, and that is exactly what Cardtoon is. Do you want to be able to read minds, with no practice or set up? 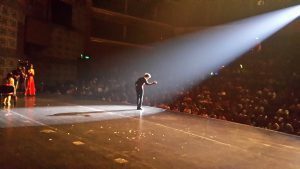 There are hundreds of people who will try to sell you the latest ‘miracle’ of mentalism, but in reality, how many of these tricks are actually workable in real life? Cardtoon is a trick that is a worker, a guaranteed reaction machine, and most of all, really fun! The magician asks the spectator to pick a single card in their head, without letting anyone know. 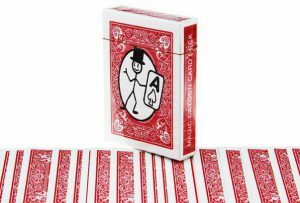 After they do this, he pulls a deck of cards from his pocket, and shows that he has drawn a stickman on the back of each card, so that when he riffles through them, they start moving. Before he is about to reveal the full animation, he asks the spectator to name their card for the first time. Let’s say it’s the Jack of Hearts. So there you go- Cardtoon. It looks completely impossible, doesn’t it? I can genuinely assure you that this trick is one of the simplest card tricks I have ever had the pleasure of working with. In fact, I picked this one for my first stage performance because I was so confident that it wouldn’t let me down, even though my hands were shaking with nerves! Cardtoon is literally *ONE* deck of cards; no extra DIY for you to do yourself, no add-ons that you need to keep in your pocket until you’re ready and no funny business. Just one pack of cards that you can carry in your pocket at all times, ready to perform the impossible at a moment’s notice. How long will Cardtoon take to learn? Obviously, I would advise taking a day or two to make sure you have the handling completely down before you hit the streets with it. A mess-up is unlikely, but still possible. Practice in front of the mirror to make sure everything looks smooth; there is only one ‘move’ that you will need to work on. Apart from that, I would definitely recommend also coming up with a unique presentation of the effect; this is a trick that greatly benefits from its story element- if you play it right, you can double reactions to this trick by creating emotional investment with the stickman ‘magician’. Maybe he’s a broke college dropout who has one shot to perform for the president of the Magic Castle, or a traveling fakir who reluctantly agrees to show you his greatest miracle yet. The possibilities are endless- so there’s no excuse not to give your stickman a bit of a story. If you fancy yourself a bit of a comedian, it could even be worth dedicating a bit of time to putting a few jokes in there too. The point is, don’t waste the potential of this trick. Really create a character that the audience can identify with; the eventual climax of the trick will be a whole lot stronger for it. Also, a huge tip that I wish I had learnt earlier was to do with how fast you let the animation play out. 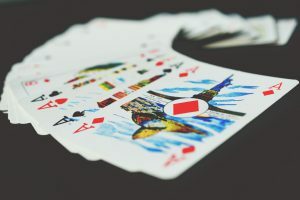 When you’re nervous, it is easy to want to ‘get it over with’ and riffle through the cards as quick as possible, hoping that nothing goes wrong. Instead, remind yourself in your mind to slow down as you flick through the cards. This will create more suspense for people watching, and again, a much better reaction. You don’t want to build up an elaborate story about the stickman, then only spend three or four seconds letting him shine. – Give them the classic ‘I never perform the same trick twice’ speech. This is what I do; it might seem like a cop-out, but if you give this response every time you have someone ask you to repeat a card trick, they’ll pretty soon stop asking. Cardtoon is a very low-risk, high reward card trick. There really isn’t a whole lot to lose with this one- it only prices at about £10 most places. This is a great trick to use as a closer, as it has such a kicker ending! Did you agree with this review? Do you have any other questions I haven’t answered? Feel free to leave them below! 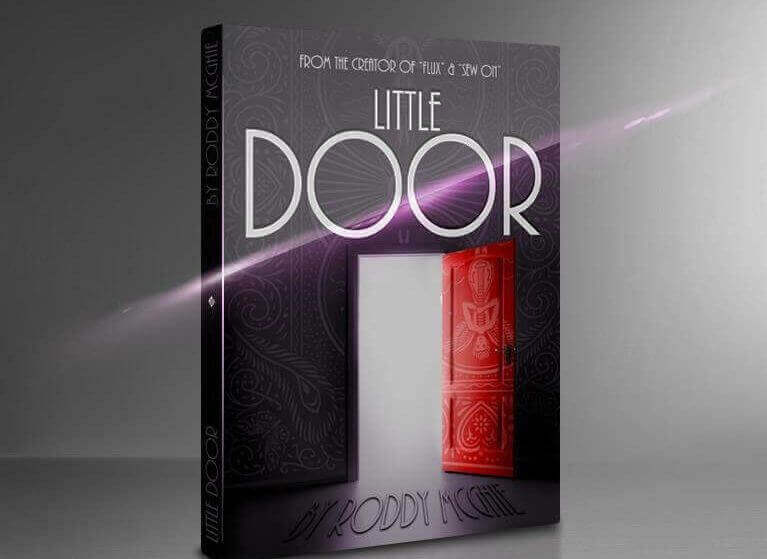 If you’re not using Little Door by Roddy McGhie right now, then you seriously missing out! The best trick of 2016, Little Door absolutely blows people away, and it is so EASY! Little Door is, more than anything else, an incredibly fun trick. That was my first thought after I was able to perform with it for the first time, and I’m happy to say that my opinion hasn’t changed since. The price tag may seem a little high for some (and that is the reason that I have knocked it a couple of points), but if you are able to get your hands on this gem, then it is definitely going to be worth it! I’ll be explaining what exactly Little Door is, as well as how difficult it is and where you can get your hands on it within this post! If you came here because you’re interested in learning incredible magic, why not check out my other magic trick reviews here? Little Door, as you might be imagining, is a trick centered on a, well, little door. But behind this little door is a whole lot of magic. The magician tells you a story about the origins of this trick. He says that an old and wise magician once approached a young boy (let’s call him Frank), and asked him to pick a card, and not let him see it. This magician was then able, even after putting the cards back in the box, to tell him exactly what card he picked, every time. It was incredible! Frank then decided to dedicate his life to magic, so that perhaps one day he would be able to figure out the secret. Well, as the years went by, Frank became a little older and a little wiser. He learnt his false shuffles, his vanishes and color changes, and all other manner of miracles, but he still couldn’t put together the mystery. He gave it a bit more time; maybe he just wasn’t experienced enough yet. Maybe he would learn the secret when he was in the Magic Circle. Frank carried on performing for the crowds, every day hoping that he would discover the truth. In the end, after a fulfilling and successful career as a magician, he decided to hang up his boots. He had had a good run, and he had achieved a lot! It was just a shame he had never figured that trick out, but it wasn’t the end of the world. After the curtains closed on his final show, Frank was greeted by a wave of young magicians eager to pay their respects to this great performer. The magician was more than happy to sign their cards and wish them the best for the future, and before he knew it there was only one young magician standing in front of him. Funnily enough, it was the son of the old magician who had first mystified him so many years ago. 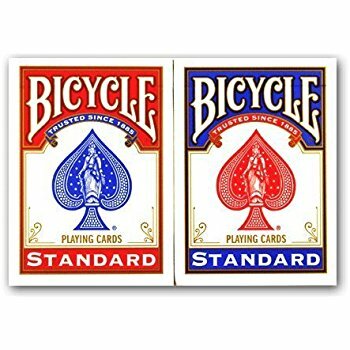 Hesitantly, Frank asked the young man if his dad had ever shown him the trick where he guessed what card people picked, even though the cards were in the box. The young man laughed, and told him that that was his dad’s favorite party trick, but it really had a very simple explanation. After people had picked a card, his dad would make sure their card ended up on the bottom of the deck. When he put it in the box, he opened up a magic door in the box that let him peek at the chosen card. Seeing the Frank’s disbelieving expression, he pulled out a box and drew a little door on it to demonstrate. Sure enough, he opened the door and closed it, wiping it off when he was done! Frank was well and truly astonished by the simplicity of the secret, and after spending some time perfecting it, he passed it down to his own son. That son then passed it down in turn, and so on. The magician telling the story explains that he is a descendant of the magician, and as he speaks, he brings out a deck of cards and draws on a little door. He then, slowly and carefully, literally opens the door that he has drawn on the box to reveal the cards beneath, then closes it. Afterward, he wipes away the door until there is no sign that anything has occurred! He even hands out the box for inspection, but of course, there is nothing to be seen. Now this trick is very visual, so if you had trouble imagining it, watch this short trailer by Roddy Mchgie. How long will I need to practice this trick before I can show it to my friends? I will admit, at this point, that when I first picked up Little Door I spent about 10 minutes practicing (if that!) before I used it for the first time. It actually worked out fairly well for me, but that is definitely not the method I would recommend! Luckily for you though, this trick is actually very simple. There are two key moves to learn, and once you have these mastered then you will be able to perform this trick incredibly smoothly at almost all angles. You genuinely can show people the box once you are done! The drawback for me, is the price. If this trick was available for anywhere between £10 and £15, then it would be near enough a 10/10 in my eyes. As it is, at £28.61, I feel it may be slightly overpriced. 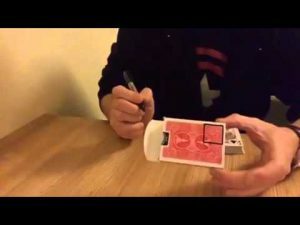 Little Door by Roddy McGhie is still an incredible trick, and if you have the funds to invest in this trick, then I would definitely say GO AND BUY IT RIGHT NOW, but if not, I would advise you to check out something like The Invisible Deck instead (which is more affordable but just as impressive). At the risk of repeating myself too much here, I will once again reiterate the point that if you can buy this trick, you should, but if you can’t, then there are alternatives that might work out better for you. It’s worth considering what kind of effects you prefer; if its visual magic, then Little Door is your trick (or possibly Cube 3, which is arguably the most impressive visual trick ever!) If it’s mind reading or ESP style magic, then The Invisible Deck is great. At the end of the day, it comes down to you, but to be honest you can’t go far wrong if you pick one of these options! 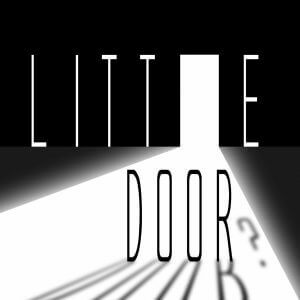 Thanks for reading, and as ever feel free to ask away if there is anything more you would like to know about Little Door by Roddy Mcghie! Now that we’re well underway with 2018, I thought it would be a good idea to ask ourselves which magic tricks impressed us the most in 2017 (if you can cast your mind back so far.). Here are the best magic tricks of 2017. 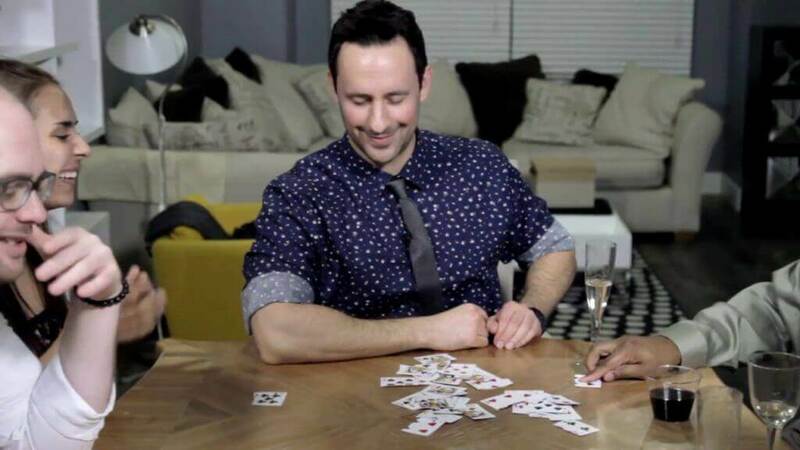 2017 was a great year for magic, with magicians like Colin Cloud taking mentalism to the mainstream on America’s Got Talent, and Issy Simpson on Britain’s Got Talent proving that you don’t have to be a middle-aged man in a bowler hat to do magic. We also saw the release of some great new tricks, and updates to already existing ones. So what was the best magic trick of 2017? Let’s dive right into it with my 2o17 magic trick reviews. 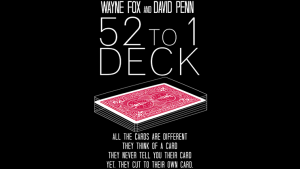 Number 8: 52 to 1 Deck by Wayne Fox & David Penn. Description: The 52 to 1 Deck is a gimmick that lets you perform a whole host of mind bending miracles. The spectator thinks of a card, and then cuts the deck. They cut to the one card they are thinking of every time! This is just one example of the kind of effects you can achieve with the 52 to 1 Deck, others include being able to ‘memorize’ the deck and read the spectators thoughts to reveal the card they are solely thinking of. Gimmick holds up well to scrutiny. A little audience management might be required. Gimmick will wear out eventually (not a huge problem though). Method might need a bit of practice. Final thoughts: This trick would make a great counterpart or follow up to The Invisible Deck, just make sure you practice with it first as it is slightly more complex. 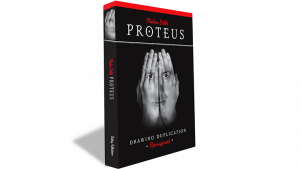 Description: Proteus is an impromptu mind reading effect which takes no props or set-up, in which the spectator freely thinks of any drawing, and the magician is able to guess exactly what it is every time. The product you’ll receive is a book that walks you through the process step by step. No set up or research needed. Well written and easily understandable book. Looks incredible when it works! A little bit of memory work required. Probably won’t work every time, realistically. Final thoughts: This trick is a good investment if you have the time and willingness to stumble with it before you can master it. Once you’ve mastered it, the sky is the limit! Description: If you want to get into magic but don’t see yourself being the kind of person to carry playing cards around everywhere they go, Inject 2.0 is perfect for you. 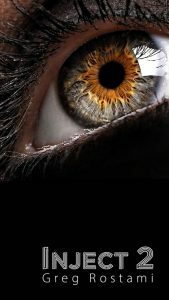 This app allows you to perform over 15 mind reading effects using a spectator’s OWN phone, and you can create many many more using this simple tool. Inject is perfect for occasions when you want to show someone a trick without weirding them out; using someone’s phone feels a lot more personal and impressive for a lot of people. Can be done even if your phone is dead, magic happens entirely on their phone. Works on all different styles of device. Final thoughts: If you have the money…go for it! Description: A card is selected. A shuffled deck is laid out on the table, out of the magicians hands. A number is freely chosen. The number is counted to, and sure enough, their card is at it! This is a powerful, powerful trick that absolutely fries the audience because of the sheer impossibility of it. 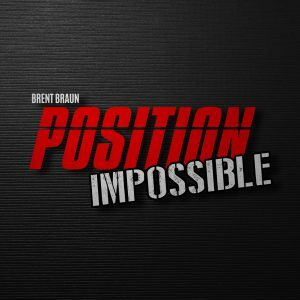 If you buy Position Impossible, you’ll receive a custom-made deck and a 40-minute long instructional video. Very baffling and infuriating effect. Looks very clean and smooth. Really can be ANY number. Can’t only be performed once to an audience. The card choice isn’t completely free. Final thoughts: This is definitely the best ACAAN (Any Card At Any Number) effect I have seen for some time, whether it is worth the price is up to you. Description: 52 Shades V3 is an updated version of a highly visual gaff deck. It’s hard to properly communicate just how jaw dropping some of the effects are! The act that fooled Penn and Teller is now available to you, with over 2 hours of instruction from Shin Lim himself. A full deck appears from nothing, then changes color twice, then disappears, and that’s barely touching the surface of what is possible with 52 Shades. Difficult, will require a lot of practice. Final thoughts: If visual magic is your cup of tea, 52 Shades V3 is going to be an ideal investment. If not, then I would wait a little before buying this until you have more experience in basic sleights of visual magic. Description: Venom is a ITR (Invisible Thread Reel) that is most likely the highest quality on the current market; if you are looking to get into Invisible Thread work and levitation effects then this is a must-buy. 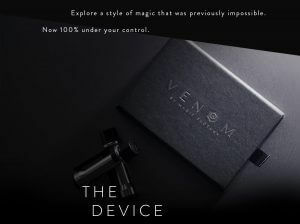 Venom enables you to perform hundreds of different levitation effects such as floating cards, the haunted deck, ring tricks and so much more. It is a high price, granted, but you will be getting TWO reels in your purchase and they are built to last! Going to be difficult at first, all IT work is. Now, this may seem like an odd pick for the 2nd best trick of the year, but Quiver is an absolutely astonishing device that will literally make people question their own eyes. It looks like a standard little coin pouch, but any object you drop in it can be visually turned into something else- a £10 to £20, or 1p to £2 coin. The spectator can handle it themselves! The possibilities that Quiver offers are endless, and it is completely clean too! Safe- the spectator won’t figure it out, even though they can handle it. Very useful used with other tricks. 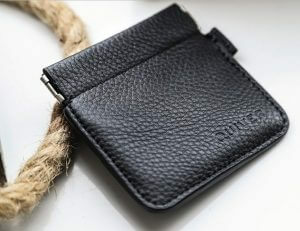 £27.98 for a coin pouch might seem a lot to some people. 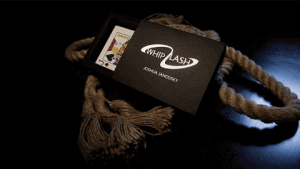 Description: Whiplash is a utility gimmick that will take your card magic to the next level. It makes all kinds of card magic much simpler, such as transformations, transpositions, vanishes and so much more. The gimmick itself is simple to use and can be performed openly- it’s angle proof. Whiplash is also one of the most affordable items on this list, which is another huge plus! Half the price of other methods. Josh teaches you how to customize and repair the gimmick if you need to. Looks impossible, even when you know the secret. Similar products do exist on the market. Final thoughts: If you’re interested in card magic, then I wouldn’t spend too long thinking about this one. Just pick up Whiplash from Amazon and be prepared to build yourself an impressive reputation! I hope you enjoyed this summary of the best tricks of the year; did you agree? If you have any questions about any of the products, feel free to ask away in the comments!